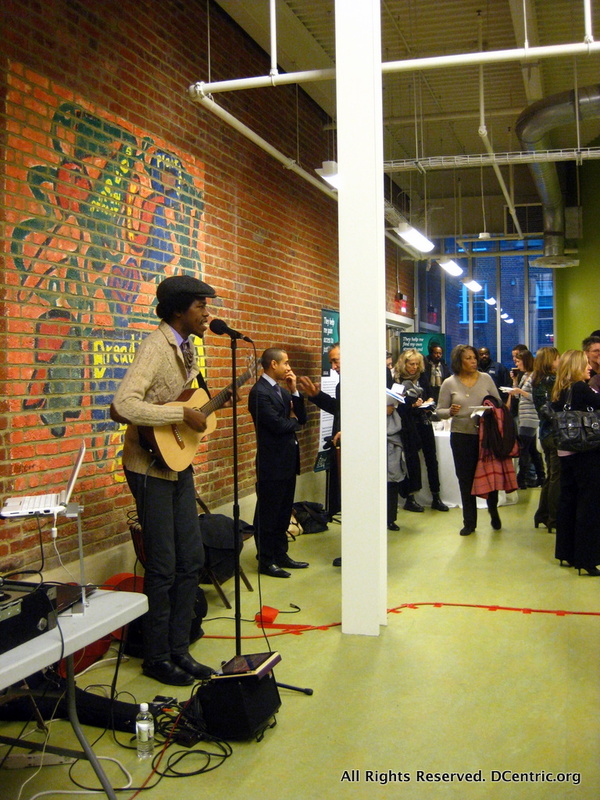 Slideshow: Bread for the City’s Grand Opening– in Pictures. 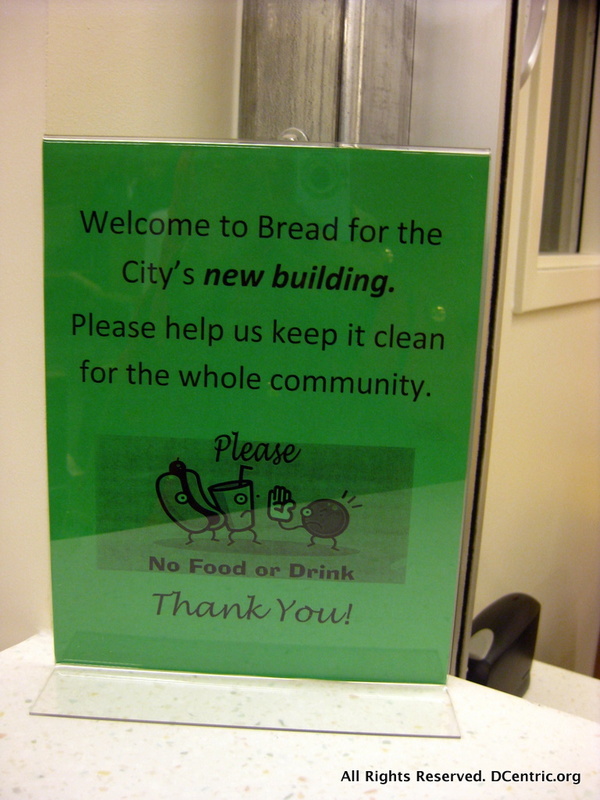 Later today– an interview with George A. Jones, Executive Director of this non-profit which serves the city’s poor. Use the up and down arrows on your keyboard to navigate through images. 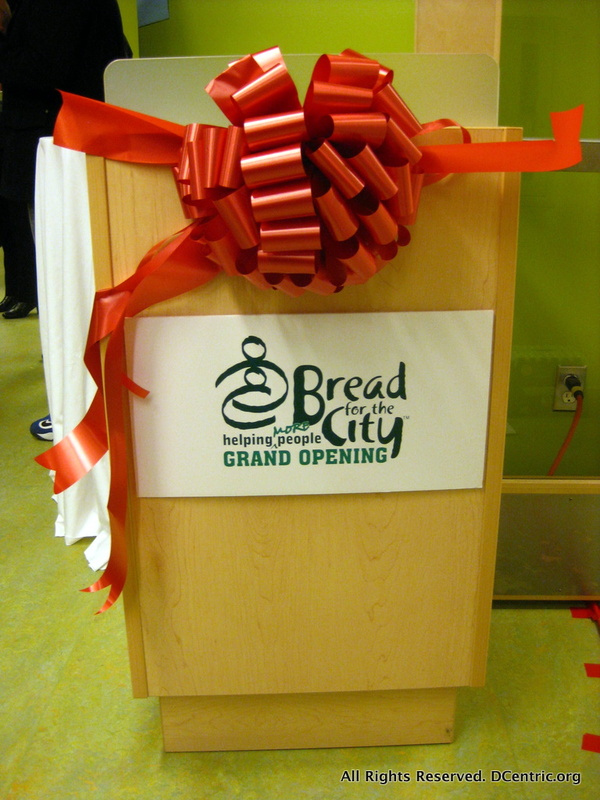 Bread for the City's grand opening was January 7. 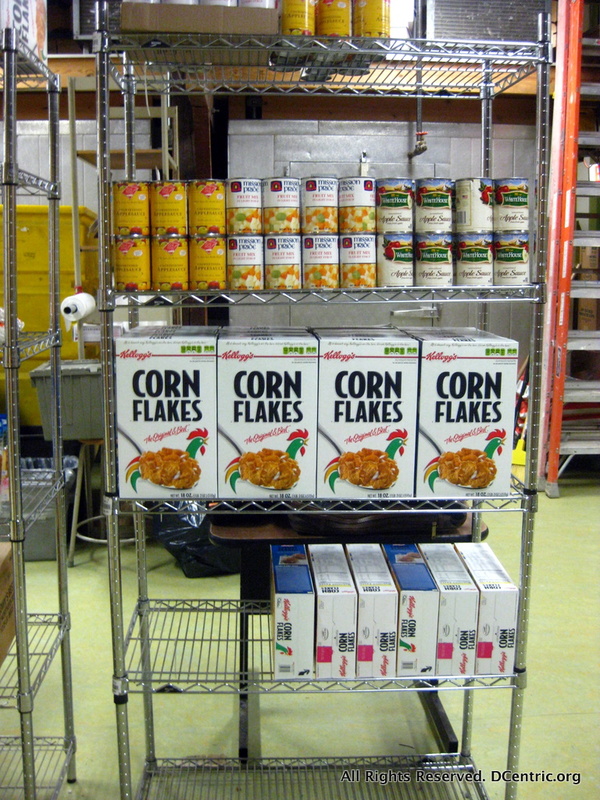 The food pantry, where clients can access nutritious fare. 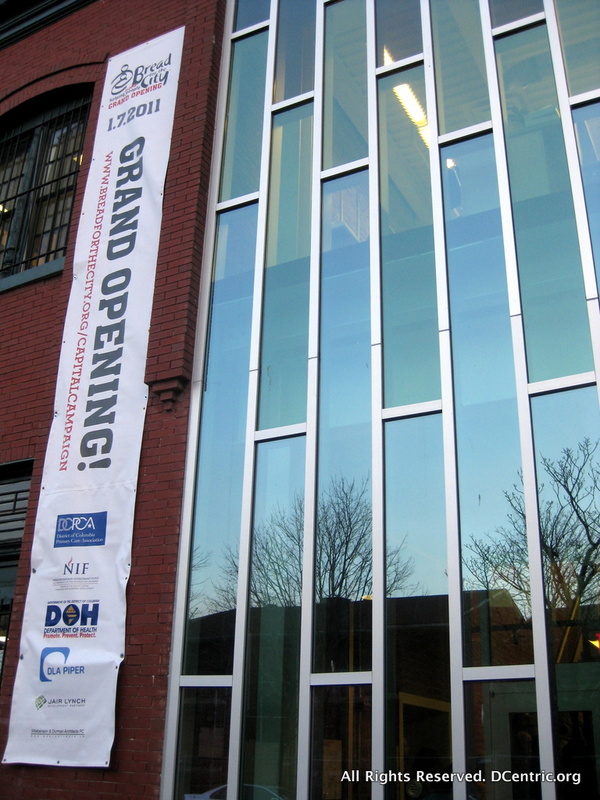 What's a ribbon-cutting without a shiny red ribbon? The crowd was enjoying great food and fun music. 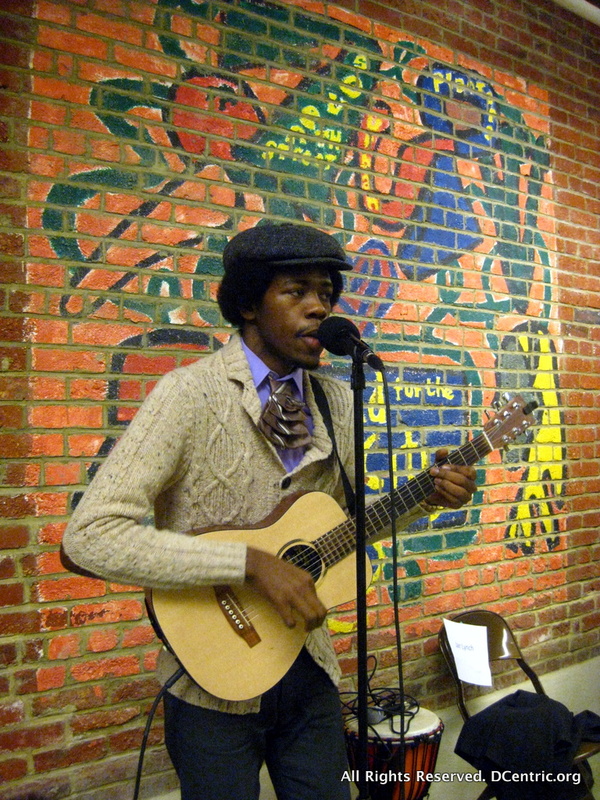 Progressive hip-hop artist and local star Christylez Bacon provided the entertainment for the party. 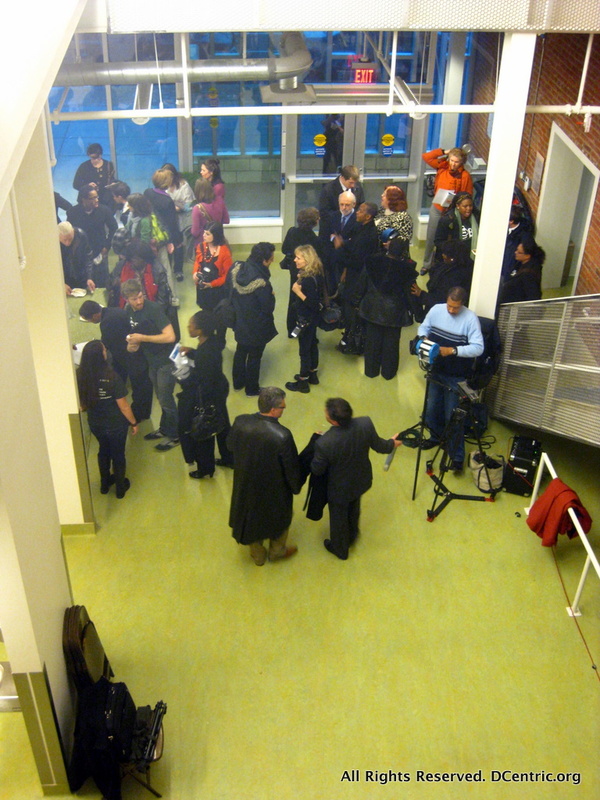 The reception was packed with excited friends, staffers and clients of Bread for the City. 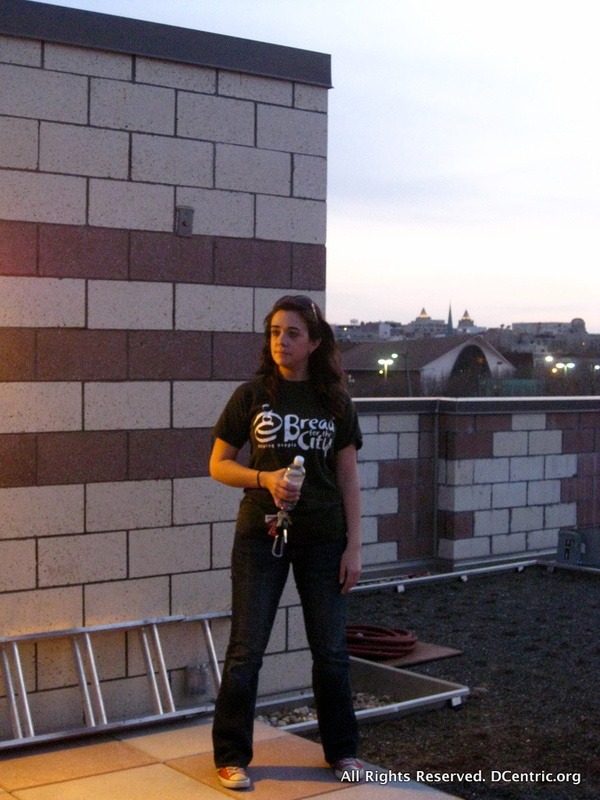 Kristin Valentine, Director of Development, explains how the nifty roof garden will help insulate the building while feeding its clients. 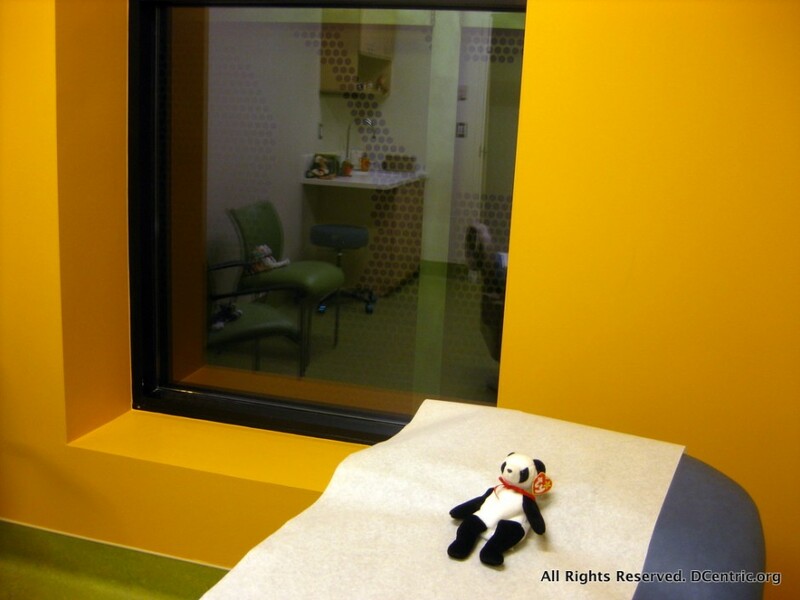 The exam rooms are bright, inviting and some are especially child-friendly. 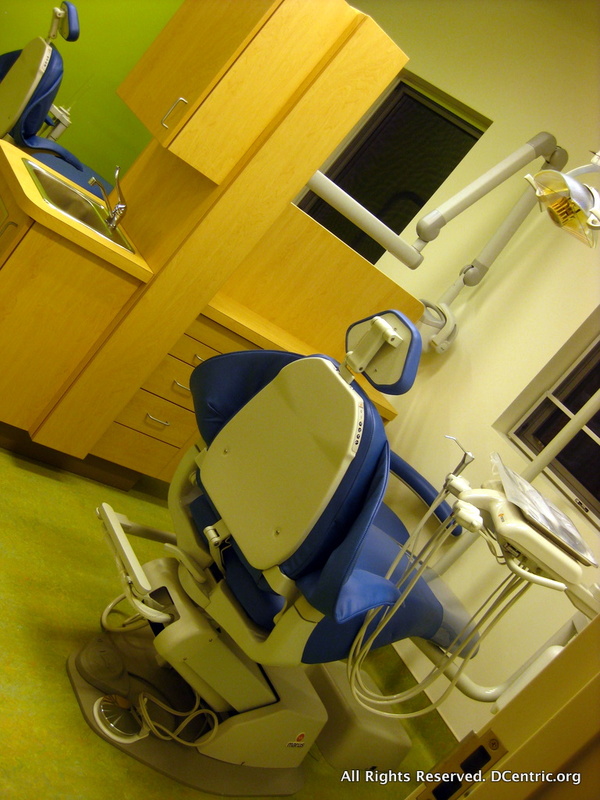 The expansion means that Bread for the City can now offer its clients access to a Dentist, in addition to other assistance. A sign from the new Clinic. 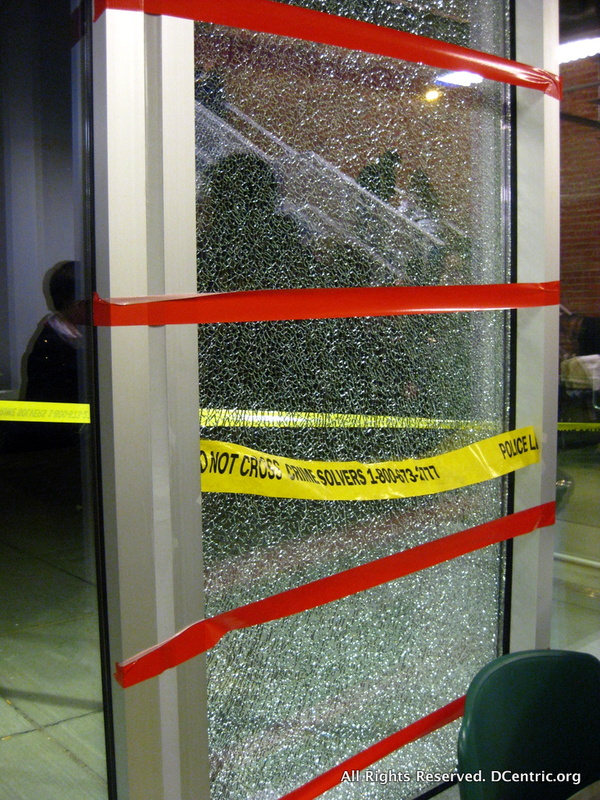 Someone outside fired a BB gun and shattered this window-- but everyone was okay. 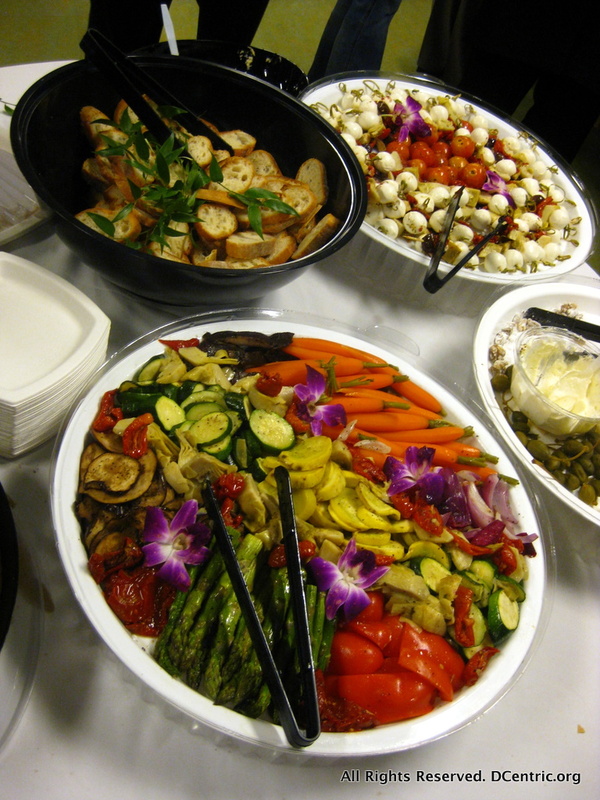 The food was delicious and catered by Fresh Start Catering/DC Central Kitchen.